The Cabbage Moth is a common moth found extensively throughout the British Isles, much of Europe, North Africa, Russia and Asia. In the British Isles it may be found in a wide range of habitats including gardens, open countryside, cultivated fields and open woodlands flying between May and October. The Cabbage Moth caterpillar is one of several caterpillar vegetable pests found in the British Isles and worldwide which do extensive damage to crops, and in particular to those of the cabbage family. 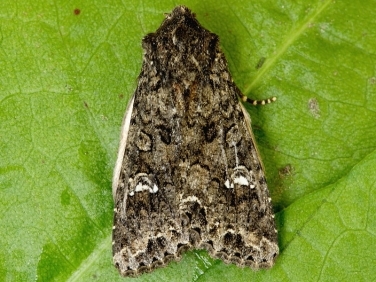 The adult Cabbage Moth has a wing span of approximately 40mm and is generally dark with variable shades of brown that can resemble a number of other noctuid moth species. At a glance it does not show any really distinctive identifying features but the white, often partially broken highlighting around the kidney mark, particularly around the outer edge, can be a helpful guide. The deep but faint white ‘W’ in the sub terminal line. The black outlined dagger mark in the upper half of the forewing. 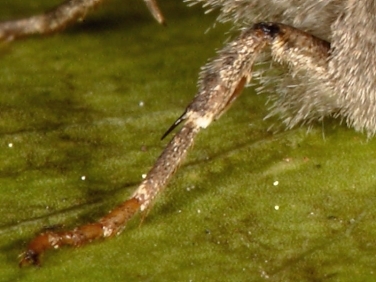 A spur on the tibia of the front legs – this may require a magnifying glass to see but is a determining feature. 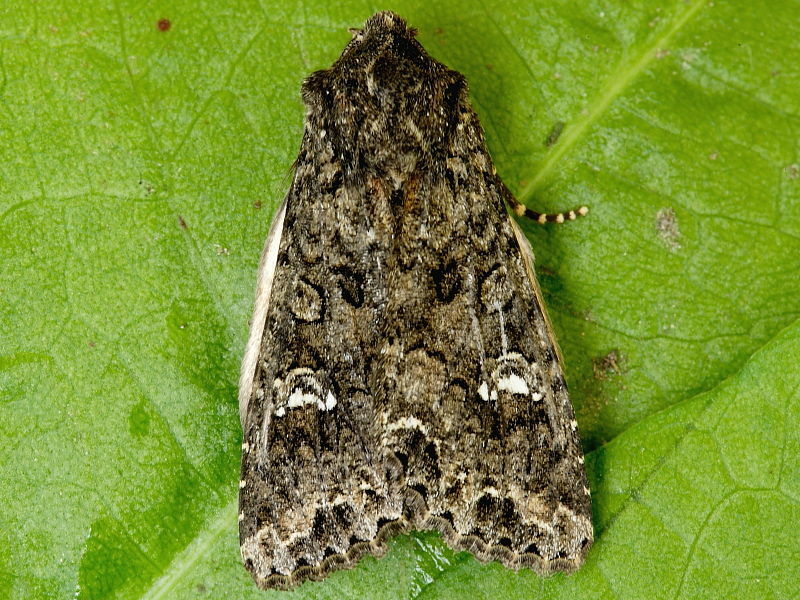 The Cabbage Moth is multi brooded with the flight period being between May and late October in the British Isles. The flight times may vary according to temperature in other parts of the world. With at least two and possibly three broods a year caterpillars may be found in any month. 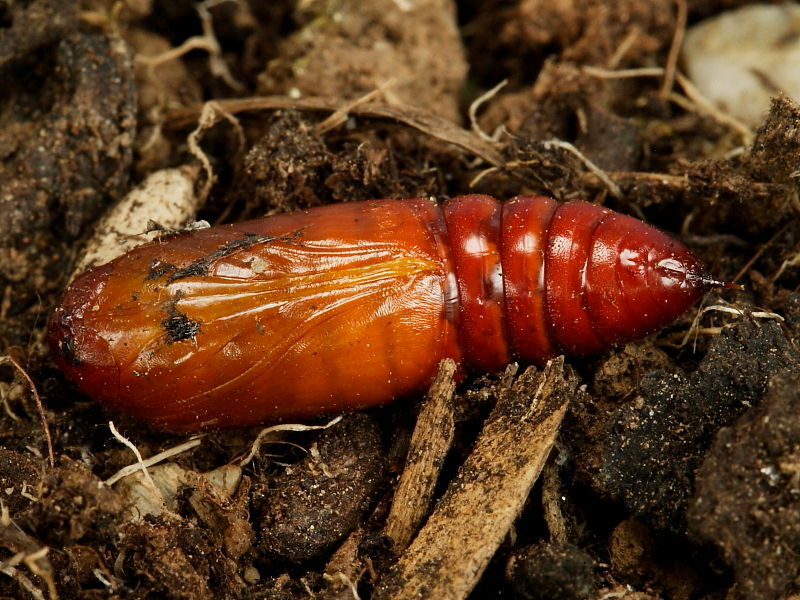 However, those of late broods generally pupate in the soil to over winter. Eggs are pale green when first laid in batches of sixty or more on the underside of the larval food plant but within three or four days have dark centres as the caterpillar develops inside. The caterpillars hatch within about 7 days and are fully grown in about 30 days when they pupate in the soil. The adults emerge in about 14-21 days unless over wintering. The nocturnal moths feed at flowers and are attracted to light. Fully grown Cabbage Moth caterpillars are about 40mm long and extremely variable in colour. 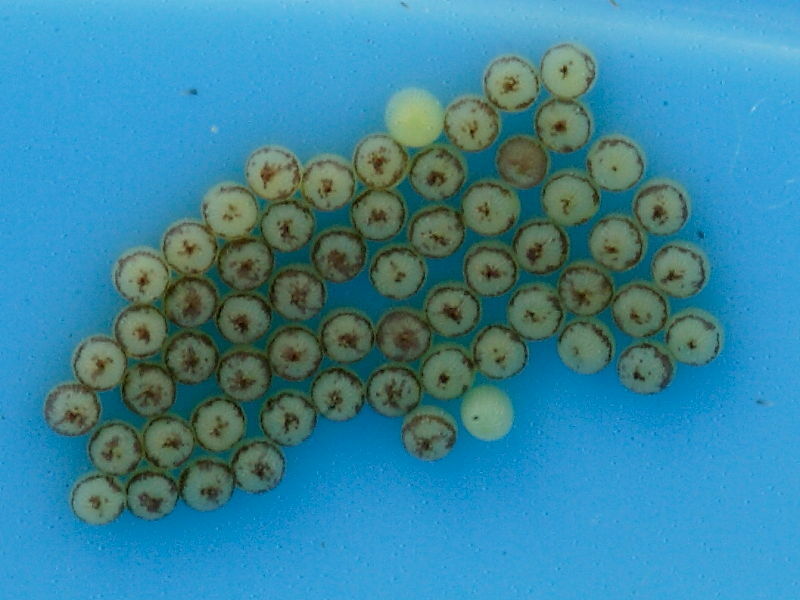 Within a single brood there can be caterpillars of several shades of green and brown, with some being almost black. 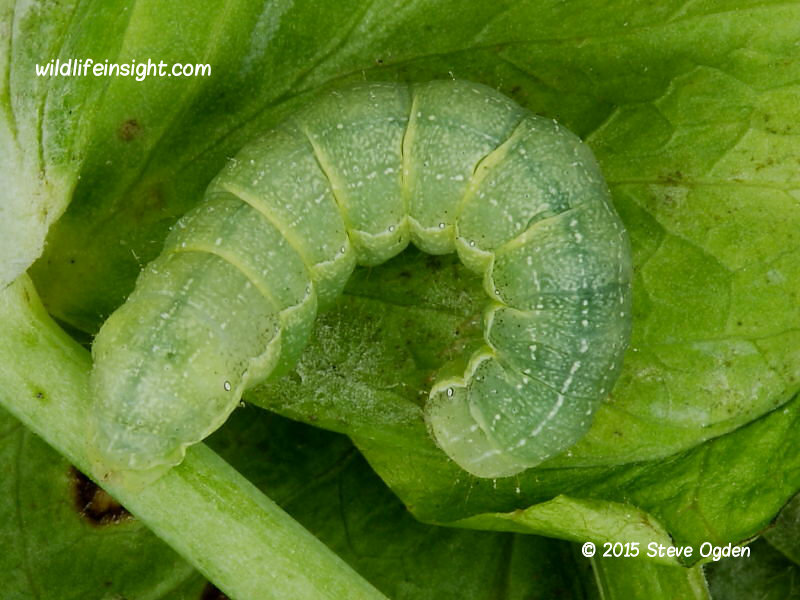 Despite their variation they are unlikely to be mistaken for the caterpillars of two other moth species that are often confusingly called Cabbage Loopers and Cabbage moth caterpillars by farmers and vegetable growers. These names refer to the caterpillars of the Silver Y, Autographa gamma, and the tiny Diamond-back Moth, Plutella xylostella, that also feed on vegetables and other crops but look very different to The Cabbage Moth caterpillar. 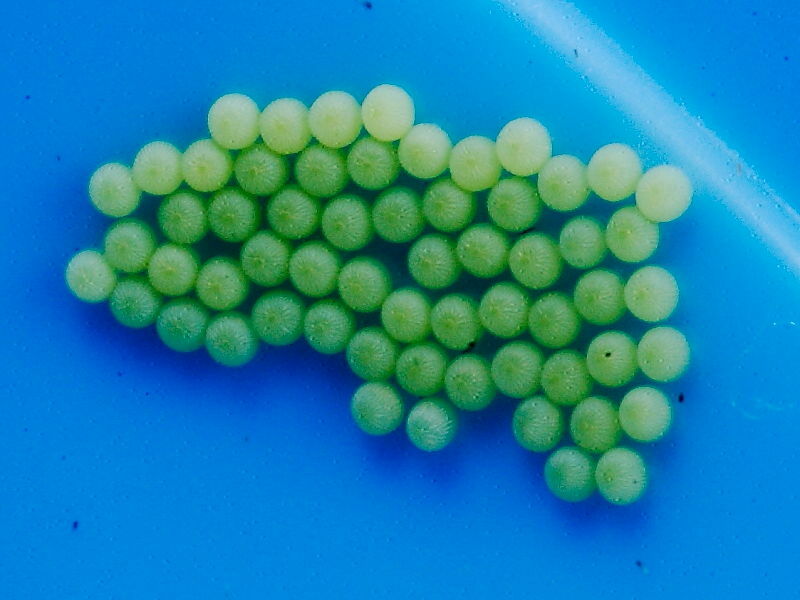 Newly hatched Cabbage Moth caterpillars are less than 2mm long and pale green with black speckling, head and prothorasic plate. Within a week and into their second instar slightly darker and lighter shades of green begin to show amongst the brood. 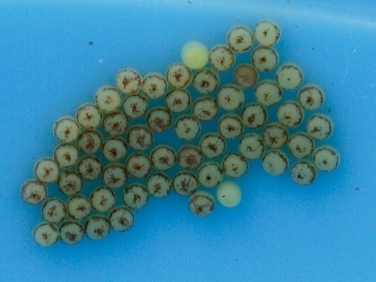 At two weeks old and at about 10mm in length distinctive variations in intensity of colour are evident ranging from dark brown to pale green. A developing broad pale spiracular line is noticeable in second instars above which is a line of black outlined white spiraculars. 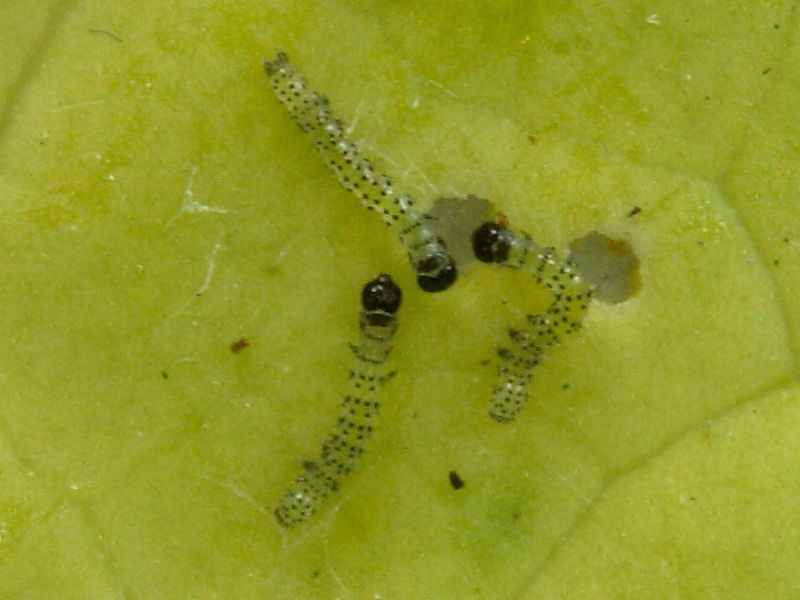 Faint orange bands on brown caterpillars or yellow bands on green ones are often evident on each segment on later instars. On the rear two segments there are often quite distinctive darker U shaped markings straddling the dark edged pale dorsal line. 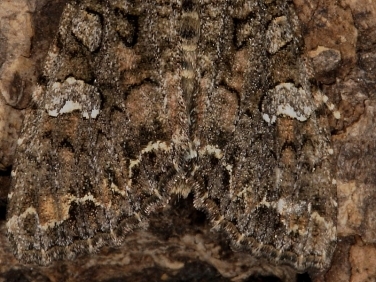 Heads can be variable shades of brown or green. 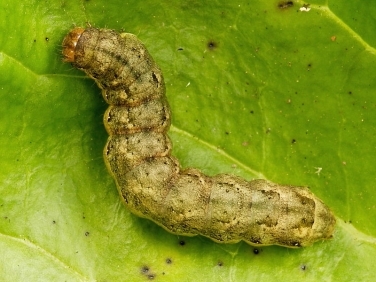 The caterpillars of The Cabbage Moth are polyphagorous, feeding on the leaves of a wide range of low-lying wild and cultivated herbaceous plants. 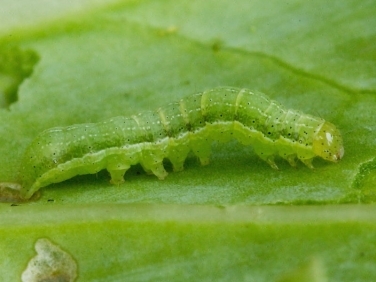 The caterpillars are well known for the damage they cause to cultivated vegetable crops in the brassica family and in particular to cabbages. The Cabbage Moth is very easy to rear. Female moths will lay readily in captivity, often laying on the sides of containers. The caterpillars can be fed on a variety of easily obtained herbaceous plants. When fully grown a thin layer of soil should be introduced for the caterpillars to pupate in. If over wintering they should be stored in a cool room or outhouse. 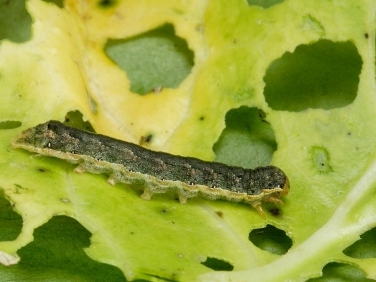 In many parts of the world the caterpillars of the Cabbage Moth are severe pests of brassica and many other crops including beet, lettuce, peas and onions. 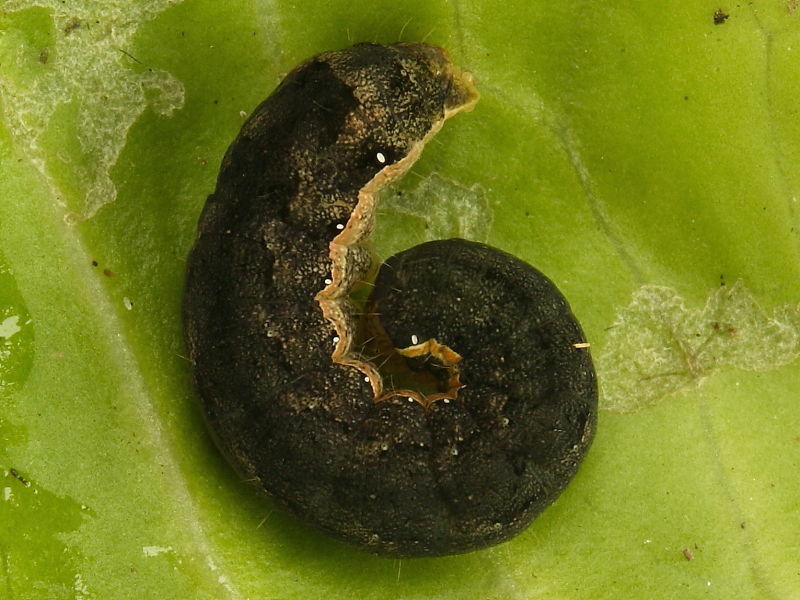 They feed at night within the heart of the vegetable damaging the growth point and soiling the vegetable with droppings. During the day they will either bury themselves in the soil or remain out of sight deep within the heart of the vegetable. The moths have multiple broods and caterpillars can be expected at any time of the year but generally numbers peak in the late summer. Winter and early spring vegetables are less vulnerable to damage. For growers with small allotments and raised vegetable beds netting off the vegetables with micro mesh netting is effective. This has to be significantly smaller mesh than the 1inch mesh used to keep Large White or Cabbage White Butterflies off vegetables. Sufficiently small mesh netting is available that still enables adequate growing light to reach the vegetables. Digging over the soil and exposing the pupa to the elements and predators will also prevent adult moths from emerging in the spring.